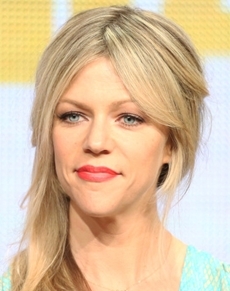 An American actress who earned huge amount of popularity for her performance in the television series It’s Always Sunny in Philadelphia, Kaitlin Olson was born on August 18, 1975. Having interest in acting since a young age, she completed her graduation in 1997 with a B.S. in theatre arts and later moved to Los Angeles in order to find suitable work opportunities. She first started her professional career through roles in television series like Curb Your Enthusiasm, The Drew Carey Show and also acted in a couple of movies during this time period. Her career took-off when in 2005, Kaitlin began to portray the character of Deandra “Sweet Dee” Reynolds in the sitcom It’s Always Sunny in Philadelphia. Apart from this show, Olson has also continued to work on various other television and film projects such as The Riches, Brickleberry, The Mick, The Heat and Vacation. As for her off-camera life, the actress married her co-star Rob McElhenney in 2008 after having dated secretly for some time. The complete details of the actress Kaitlin Olson body measurements are listed below including her weight, height, shoe, bust, waist, hip, dress and bra cup size. She graduated with a B.S. in theatre arts. Due to a bike accident at the age of 12, she suffered a fractured skull that required reconstructive surgery. The role Sweet Dee in TV series It’s Always Sunny in Philadelphia came down to her and Kristen Wiig which ultimately was given to Kaitlin Olson.